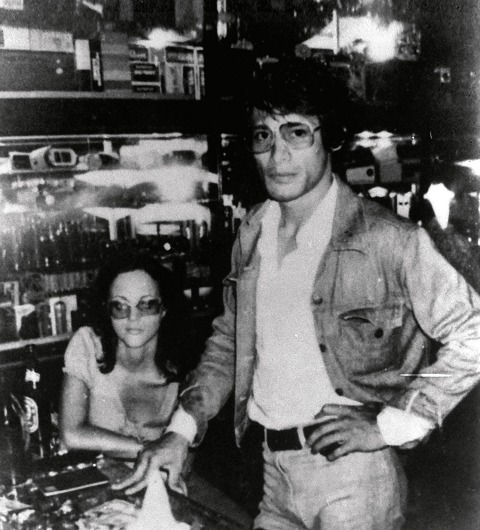 Sobhraj pictured with Canadian girlfriend Marie Andree. Meet Charles Sobhraj – conman, escape artist, expert manipulator and serial killer. His story is unbelievable. Except it happened and authors Richard Neville and Julie Clarke documented the extraordinary and frightening life and crimes of Sobhraj. in 1977 Neville and Clarke were invited to interview Sobhraj to tell his life story. They did this and more, investigating the murders by Sobhraj of the western tourists in Bangkok and Kathmandu. The result is The Life and Crimes of Charles Sobhraj. Sobhraj was able to expertly seduce women, con tourists (some of whom had very lucky escapes with their lives), and escape jails.For instance one young man, a French tourist in Bangkok, found himself seriously ill with what he thought was dysentery, and unable to care for himself. he was virtually help captive in Sohraj’s apartment, and though he thought Sobhraj and his girlfriend Marie were taking care of him, they were actually poisoning him. The apartment attracted many travellers and this is where Sobhraj lured some of his victims. This book is investigative journalism with the pace of a novel. I was gripped and quietly terrified reading it. Married couple Neville and Clarke (Neville passed away in 2016) chart the odyssey of Sobhraj’s crimes and the people caught up in his web – the victims, girlfriends, wives and the people who started to piece it all together (your heart will be in your throat when you read about the married couple, neighbours of Sobhraj and the diplomat went with their suspicions). This is absolutely one of my top crime reads. An extraordinary book that deserves to be a true crime classic. Have you read Serpentine by Thomas Thompson? Have you read Serpentine by Thomas Thompson? It is on the same criminal. Finally, after years! Thomas Thompson is available on Kindle.